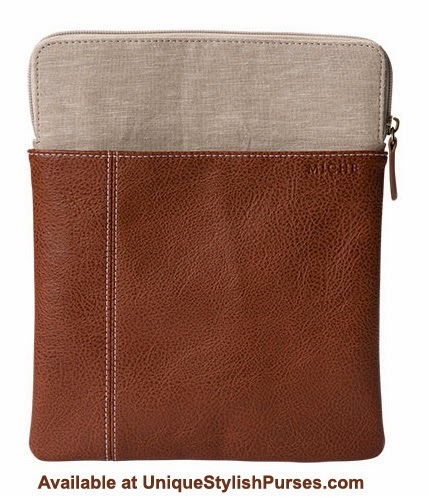 Carry your favorite electronic take-along in style with our classically-designed Tablet Sleeve. It fits any tablet up to 10” tall. Textured burnt sienna faux leather features cream contrast stitching, lightweight oatmeal canvas accent, front slip pocket and debossed logo. The perfect choice for men and women! Top zipper closure with antique brass hardware and black fabric interior lining.